Is this box going to be the reason to dust off your PSP this autumn? Sony's PlayTV launches in the UK next month, priced £70, allowing PlayStation 3 owners to record their favourite telly and also stream it to their PSPs to watch on the go. PlayTV is a twin channel TV tuner with PVR software which lets you watch, pause and record live TV. 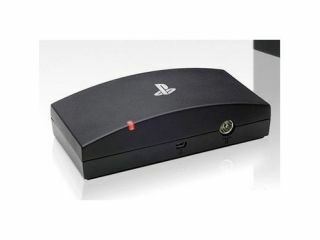 The real killer unique selling point is the ability to stream the TV content stored on your PS3 at home to your PSP on the go via Remote Play. We will be bringing you a fully detailed preview of PlayTV in the coming days to detail this and all the other cool features on offer. Sony currently has no plans to launch PlayTV in the US, which makes us happy that UK gamers finally get something first for once!